Welcome Spring! This warmer weather is definitely welcomed following a cold and snowy winter season. Many events are happening in the district over the next 50 days. The CHS musical “Newsies” and the Celina Intermediate School’s Art, Band, and Choral concerts are both this week. It is easy to see the students’ talent in these artistic displays. The support from the parents, staff and friends is always so great to see! Our spring sports’ seasons are nearing the second half of their seasons. Tourney time is just around the corner. The baseball team is playing its home games on the new and improved Montgomery Field. Thank you for supporting the baseball, softball, tennis and track athletes this spring. The new Tri Star Career Compact 2.0 is on schedule to open in the fall of 2019. The cabinet work is nearing completion and the concrete and pavement work will be happening soon. The Middle School Art Show, Choir and Band Concerts begin at 6:00 on May 7. The Mini-Relay for Life at CMS is scheduled to begin at 7:00 a.m. on May 15. The High School Band Concert and Choral Concert are on May 14 beginning at 7:00 p.m. at the high school. Commencement for our 2018 Graduates is set for 8:00 p.m. on Sunday, May 19, 2019. This ceremony will be held at the football stadium under-the-lights. The Fieldhouse will be used if we have inclement weather. Congratulations to all of our graduates! 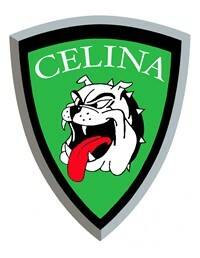 The Celina City School District initiated student paperless athletic participation forms and registration with "Final Forms" in grades 7-12 this past year, as a move to enhance the quality of our student services. We knew this was a huge step toward a modernized, more secure approach to student services that would clearly benefit our district. It was the first step, and we knew that an additional measure would be necessary to maintain our record repository requirements. Over the course of the past year we have moved some of our district practices to being more environmentally friendly, while attempting to lower our carbon footprint. Students are preparing to be a vital part of the global economy, environmentally smart, and part of the 21st Century model. As a district, we are partnering with a company called "YellowFolder" to do our part by digitizing our student records. This will save our district time, space, and money...all of which will go back to your child’s education. The Celina City School District’s data is stored on redundant network-attached storage appliances, storage area networks, and database servers that are con?gured to secure our student records at the highest level. "YellowFolder" does not sell or share any information and only works with school districts across the country. The 256-bit, Secure Sockets Layer (SSL) encryption ensures student records will only be viewed by authorized school staff on a need-to-see basis. This revolutionary approach to educational record management addresses the need for storage and the digital format is monitored to assist with retention compliance related guidelines/laws. The Celina City School District strives to be a leader in the education field, a model for students, and a point of pride for our community!